It's Splash Time in Atlanta North! 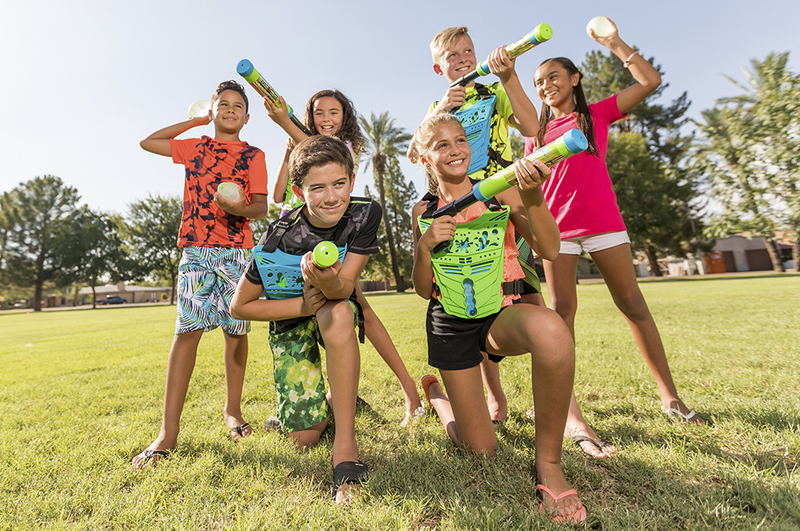 When the summer heat hits, what could be more fun than an all out water war in your yard! With GameTruck Powered WaterTag you can cool off when things heat up! GameTruck powered WaterTag is the latest tag based group party. Up to 1 players at a time can splash, squirt, and spray their way to a cool time. From Marietta to Decatur, and all throughout Atlanta North, GameTruck powered WaterTag spells summer fun. Colored vests divide the group into teams, and collect water until the meter is full allowing you to play all sorts of games. You can even add fun options like hundreds of water balloons to make the day exciting and memorable. Just like you have come to expect from GameTruck Atlanta North we do the work so you and your guests can relax. Our Game Coaches will setup the field, provide the buckets and make sure the games are engaging and fun for everyone. The only thing you should worry about is what to do with yourself while your gamers are playing! We now offer a convenient way to book your party online. Click the button below to check availabilty and pricing.